No longer hiding in plain sight: An undocumented writer couldn’t live a lie, so why should we? Fellow immigrants Jose Antonio Vargas and Carlos Bulosan lived their lives at different times and in different ways. But their search for belonging in America feels the same. 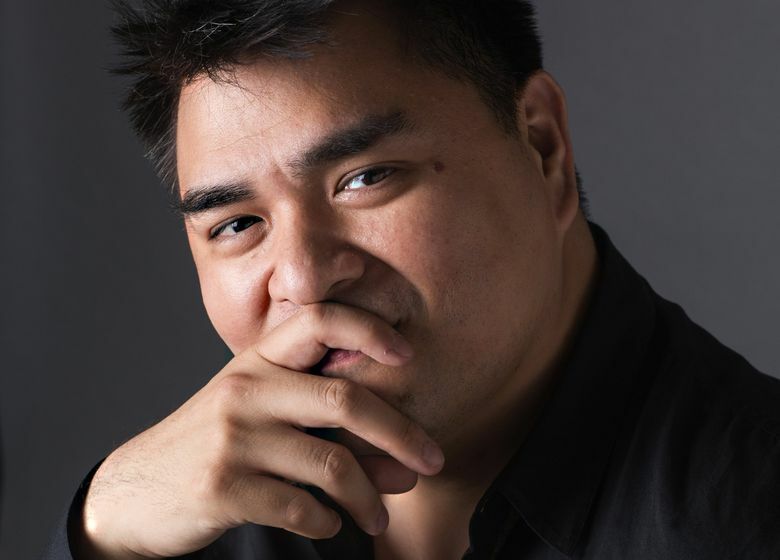 The first time that Pulitzer Prize-winning Filipino journalist and documentary filmmaker Jose Antonio Vargas flew on an airplane was when his mother put him on a Continental Airlines flight in Manila on Aug. 1, 1993. Vargas was only 12 and he was coming to live with his grandparents in California. He came of age with faked immigration documents, posing as an American and losing his attachment to his native Philippines. Now billed as “the most famous undocumented immigrant in America,” publishing stories for the likes of The Washington Post and The New Yorker and appearing on shows like “Real Time with Bill Maher,” Vargas has hidden in plain sight as a journalist and human-rights advocate in an adopted homeland that doesn’t claim him. Jose Antonio Vargas will speak with Seattle author Ijeoma Oluo Friday, Sept. 28, at 7:30 p.m. at First Baptist Church in Seattle, 1111 Harvard Ave. Buy tickets here. Carlos Bulosan arrived in this country on July 22, 1930, with a $75 ticket on a Dollar Line steamship from the Philippines to Seattle. Bulosan, who died here in 1956 after “a life of backbreaking work, illness and suffering,” according to an account in this newspaper, worked at local hotels, as an Alaska fish cannery laborer and in the apple orchards of Eastern Washington. He went on to become a legendary labor organizer and activist, poet and chronicler of the Filipino-American experience. He too came to think of himself as an exile and criminal living on society’s margins, in a land that he wanted to claim but that subjected Filipino and other Asian immigrants to restrictive policies and oppressive treatment. Sixty-three years separate Vargas’ arrival in America from Bulosan’s, and their lives followed different paths. America, on the other hand, seems to be stuck on the same one. I spoke to Vargas ahead of his visit to Seattle on Friday to promote a new memoir, “Dear America: Notes of an Undocumented Citizen,” but it was an earlier account that catapulted Vargas to prominence. In a 2011 autobiographical essay in the New York Times Magazine, “My Life as an Undocumented Immigrant,” he outed himself as an impostor: He’d been posing as an American. Vargas told me about being inspired by Bulosan’s fearless advocacy for working-class immigrants, particularly Asian Americans like himself, but also by Bulosan’s enchantment with America’s inclusive ideals. He was so taken that in his own book he borrowed lines from “America Is in the Heart” as a tribute to Bulosan. Vargas naively believed that if he worked hard enough and succeeded fantastically enough, he’d earn his way to American citizenship. His brief detention by immigration officials in 2014 disabused him of that notion. His Times article was a powerful moment of revelation and catharsis, and so is “Dear America,” albeit from a well-connected, gay, Asian journalist who doesn’t match the typical portrayal of an undocumented immigrant. Now 37, Vargas says his “charging papers” — the documents he was given when he was detained — are a constant reminder that deportation proceedings can kick in at any time, no matter how successful he becomes. That sentiment brings me back to the historical connection between Vargas and Bulosan, who’s buried at Mount Pleasant Cemetery in Queen Anne. Both worked to shine a light on the paradoxical behavior of the “nation of immigrants” they both considered home. This summer’s heart-wrenching family-separation debacle at the U.S./Mexico border made painfully clear the contradiction between how we romanticize immigrants and actually treat them. The Trump administration is even going after legal immigrants by trying to make green cards harder to get for those who have accessed welfare benefits and Obamacare. It also wants to slash the quota for refugee admissions to a historic low of 30,000 for 2019. If Vargas can stop living his lies, then as a nation that profits from legal and undocumented immigrant workers alike while at the same time vilifying them, we can stop living ours.